How effective are antidepressant drugs? With more than 10 percent of America's 326 million people taking them, it's natural to wonder, "Do antidepressants really work?" Do antidepressants really work? All kinds of factors can affect their the way each individual reacts to them. But one thing is for sure: With some 10 percent of the population calling on antidepressant medication, it's important to get informed about them. Antidepressants are the second most commonly prescribed group of drugs in the United States. The CDC reports that 10.7 percent of the U.S. population were prescribed antidepressant drugs in the past 30 days (2011–2014 statistics). That figure was just 1.8 percent in the period 1988 to 1994. Women are nearly twice as likely as men to be affected by depression: 13.9 percent vs. 7.3 percent of men. The National Center for Health Statistics shows similar but slightly higher numbers. From 2011 through 2014, the organization notes, close to 13 percent of people ages 12 and older said they took an antidepressant in the past month. That number is up from 11 percent between 2005 and 2008. Even though so many people take this group of drugs, there is controversy over whether they’re effective—and whether the risks outweigh the benefits. So let’s take a dive into this contentious issue. 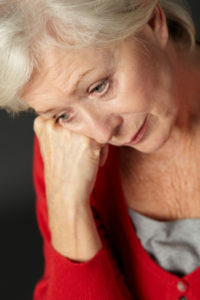 Depression is a serious but common disorder affecting 5 percent of adults and almost 10 percent of those aged 40 to 59. Every year there are 42,773 deaths from suicide, many of which were preceded by a period of depression. Also known as “major depressive disorder” or “clinical depression,” it negatively affects mood, thoughts, and behavior. For a diagnosis to be made, symptoms must have been present for at least two weeks. Depression can manifest with a wide variety of symptoms, including sadness, negative feelings about yourself and the world, loss of pleasure in usually pleasurable activities, sleep problems, and low energy. See our article “What Is Depression?” for more information. For many people seeking treatment for depression, the first-line therapy will be antidepressants. One of the mechanisms known to cause depression is an imbalance in neurotransmitters in the brain, and antidepressants aim to correct this. Tricyclic antidepressants (TCAs) such as amitriptyline (Elavil), and clomipramine (Anafranil). These are first-generation antidepressants that tend to have more side effects and so are less widely used today. Selective serotonin reuptake inhibitors (SSRIs) such as fluoxetine (Prozac), citalopram (Celexa), and Paroxetine (Paxil). These are the most commonly used second-generation drugs. Selective serotonin noradrenaline reuptake inhibitors (SSNRIs), such as desvenlafaxine (Pristiq) and duloxetine (Cymbalta). Also second generation. Several other groups of drugs are also prescribed for depression, although less often. Among them: monoamine oxidase (MAO) inhibitors, alpha-2 blockers, and the new ketamine derivatives. Tricyclic antidepressants have been around since the 1950s and SSRIs since 1974. They were extensively studied and for many years were considered to be effective—that is, until Dr. Irving Kirsch of Harvard Medical School released findings in 2008 that shook the medical community. Dr. Kirsch and his team accessed and re-analyzed 35 drug trials, including those not published because they didn’t show a positive effect. Yes, that’s right: When a drug trial finds that a drug does not work, it is usually not published, and in the case of antidepressants this was the majority of studies. The team found that for those with mild-to-moderate depression, antidepressant treatment was as effective placebo (a pill containing no active ingredient). They did find a small, positive effect in those with severe depression and those with chronic low-grade depression (dysthymia). Since then, the research and controversy has seesawed back and forth. Cochrane Collaboration research in 2009, from the found that SSRIs and TCAs were effective in 1 in 7 patients, at best. More positive research in 2017 has once again swung the pendulum back in favor of SSRIs. A meta-analysis in Molecular Psychiatry reviewed 15 studies involving more than 3,300 patients. Researchers found that compared with the placebo group of participants, those who took an SSRI had significantly greater (62 percent greater) reductions in symptoms, six to eight weeks into treatment, compared to placebo. The task of finding a therapist, and particularly the right therapist, can be difficult; plus, therapy is time-consuming. It’s no surprise, then, that most people are prescribed medication, which takes seconds every day, can be inexpensive (generic fluoxetine costs as little as $32 per month) and is covered by most insurance plans. For Children and Adolescents, Do Antidepressants Really Work? For more information on depression, please visit the following. Tufts Medical Center, which offers a useful handout for individuals suffering from depression. Another review in the American Journal of Psychiatry in 2017 looked at two depression trials funded by the National Institute of Mental Health (not by pharmaceutical companies), so they’re deemed to be less biased. They found that 30 to 35 percent responded to placebo but that the SSRI response rate was 25 to 30 percent higher. They concluded that these trails “support antidepressant efficacy,” or effectiveness. All of this can actually be rather confusing, you’d likely agree. The consensus seems to be that around 40 to 50 percent of individuals do not improve on antidepressants, and antidepressants are slightly more effective than placebo in treating depression. What is safe to conclude is that every person with depression is different. Some people respond well to antidepressant drugs, others do not. It is difficult to determine whether improvement in depressed individuals may be due to placebo response, or whether some other factor has made them better, or whether they would have improved naturally over time or because of a real therapeutic effect. This is a question for you and your doctor to answer. If you feel that you may be suffering from depression, make an appointment to see your doctor. He or she will talk to you and rule out other causes (such as hypothyroidism or anemia) of your low mood. Also, consult your doctor if you’re considering stopping antidepressant medication. Your doctor will ascertain your level of depression, perhaps using a formal rating scale, such as Patient Health Questionnaire-9 (PHQ-9), and then decide on a therapeutic plan. Mild depression: Consider behavioral talk therapy and follow-up in 2-3 weeks. Moderate to moderately severe depression: Consider behavioral talk therapy and/or antidepressant medication and follow up in 2-3 weeks. Severe depression: Consider a referral to a behavioral health provider for further evaluation and consultation. Consider starting antidepressant medication (1/2 dose for the first four days, then increase to starting dosage) and follow up in two to three weeks. Also, consider prescribing anti-anxiety medication for the first four to six weeks if severe anxiety or insomnia is also present. Lifestyle change is also recommended: Healthy eating, exercise, relaxation techniques, and other wellness activities. anemia, anti anxiety, anti anxiety medication, antidepressant, antidepressant drugs, antidepressants, anxiety, anxiety and insomnia, anxiety disorder, anxiety medication, beating depression, beating depression naturally, brain, breastfeeding, celexa, children, citalopram, clinical depression, cognitive behavioral therapy, depressed, depression, depression anxiety, depression naturally, depression serotonin, depression symptoms, depressive disorder, dopamine, dopamine supplements, exercise, fluoxetine, for depression, health, healthy eating, hypothyroidism, improve depression, insomnia 2, low energy, major depressive disorder, mental health, mild depression, moderate depression, mood, paxil, phq 9, postpartum depression, ptsd, relaxation techniques, selective serotonin reuptake inhibitors, serotonin, serotonin reuptake, serotonin reuptake inhibitors, serotonin supplements, severe anxiety, severe depression, side effects, sleep, sleep problems, suffering from depression, supplements, to treat depression, treat depression, treating depression, treatment for depression, tricyclic antidepressants, what is depression. I thought you might be interested in this article on https://universityhealthnews.com: Do Antidepressants Really Work?